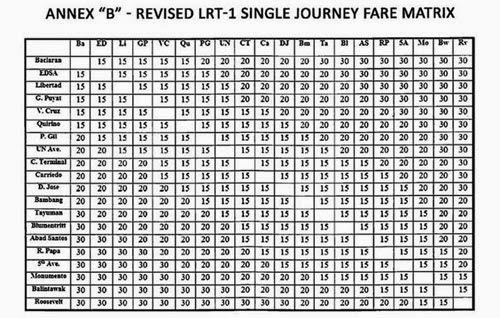 New fare matrices for MRT and LRT starting January 4, 2015 - Balita Boss! 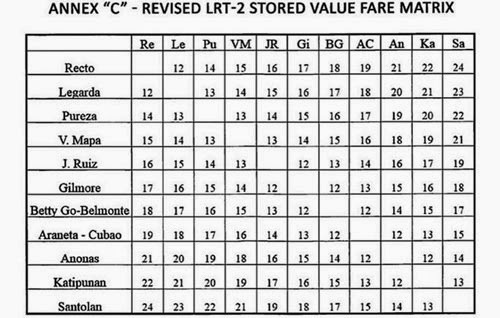 The Department of Transportation and Communications (DOTC) will start to implement its new fare matrices for Metro Rail Transit (MRT) and Light Rail Transit (LRT), Metro Manila’s primary railroad transportation systems. 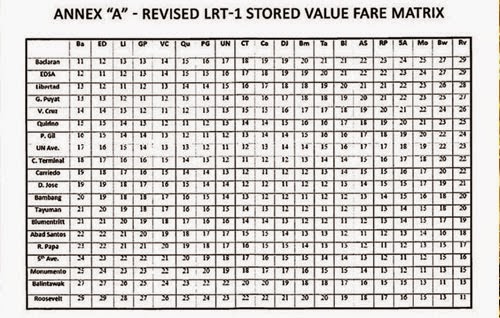 The new fare matrices are scheduled to be implemented starting January 4, 2015. "Please be informed that the fare increase for LRT1, LRT2 and MRT3 will be implemented starting 4 January 2015," DOTC posted on its official Facebook page. After several years of delay, the implementation of the P 11.00 (base fare) + P 1.00 (per kilometer) formula for fares at the MRT-3, LRT 1, and 2 will take effect. “It’s a tough decision, but it had to be made. It’s been several years since an increase was proposed. We delayed its implementation one last time until after the Christmas season. While 2015 will see increased fares, it will also see marked improvements in our LRT and MRT services,” said DOTC Secretary Jun Abaya (via dotc.gov.ph). GMA News has reported that copies of the new matrices were already posted at the train stations. 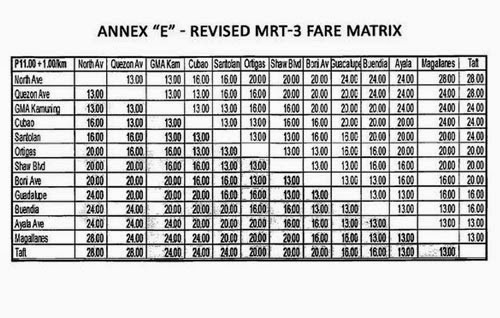 A photo posted on Twitter by radio dzBB's Sam Nielsen showed one of the new fare matrices posted at the North Avenue station in Quezon City. An MRT trip from North Avenue to Taft Avenue now costs P28, from the previous price of P15. A single journey LRT 1 trip from Roosevelt to Baclaran is P30, from P20; and a single journey LRT 2 trip from Recto to Santolan is P25, from P15. 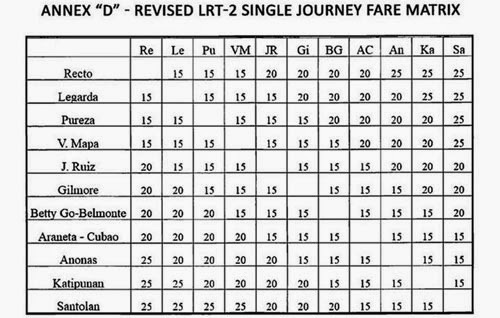 Fares for the LRT 1 previously went up in 2003, while fares for LRT2 have yet to be adjusted since it started operations and this is the first time that the fares for the LRT 2 have been increased.